How to interface GPS receiver with 8051 (AT89C52)? GPS receiver is an electronics device capable of receiving Global Positioning System (GPS) signals to decide the device’s location on Earth. Today GPS receiver is popular in vehicles and other navigation equipment. As we know that GPS is free to use there is no subscription charge for that. Consider if you did interface GPS receiver with 8051! You can explore with GPS systems as you like. So here I’m introducing GPS interface with microcontroller circuit. 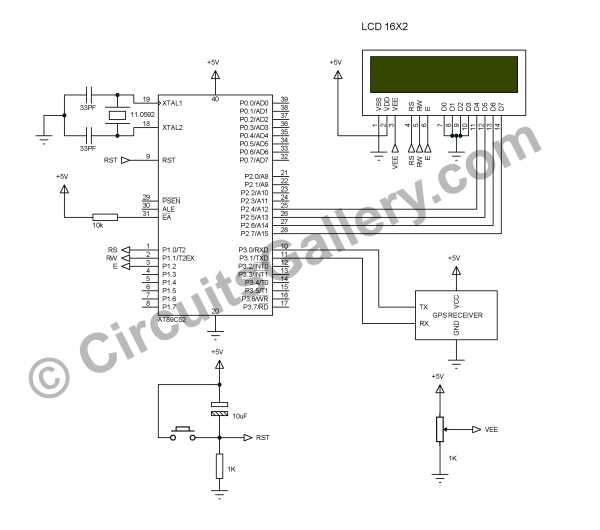 This article focused on GPS interfacing with microcontroller and LCD (16×2). LCD is used to display the latitude and longitude, it will continually update the GPS data, and I have used KEIL compiler to program 89C51 in Embedded C. UART in 89C51 is used here to connect GPS with Microcontroller. This GPS interfacing with microcontrollers embedded design by interactive simulation tutorial will be a stepping stone to GPS interface engineering project kits. We understands the importance of program source code for Engineering students thus provided interfacing GPS receiver with 8051 C code compiled in Keil IDE. Just before gonna to interfacing GPS receiver with 8051 program it is better to know what is GPS? 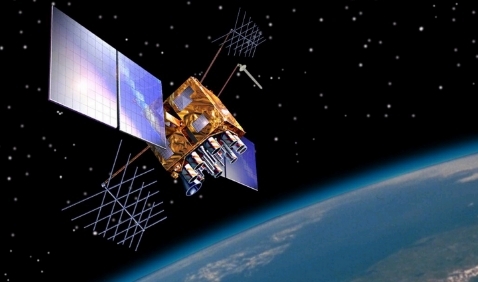 GPS, stands for Global Positioning System (GPS), is a satellite established navigation scheme built with a network of 24 satellites + 3 backup satellite positioned into orbit by the U.S. Department of Defense. At the beginning stage GPS were aimed for military operations only. Though in the 1980s, the U.S. government resolved to permit the GPS program to be used by common people like us. Climate situations do not disturb the capability for GPS signals. GPS system works 24/7 everywhere in the Earth. There are no subscription fees or setup charges to use GPS. The core component is 89C51 microcontroller which drives the LCD module to display data obtained from GPS receiver. GPS receiver frequently send information contain a number of data such as Global positioning system fixed data (GGA), Geographic position-latitude/longitude(GLL), GNSS DOP and active satellites(GSA), GNSS satellites in view(GSV), Recommended minimum specific GNSS data(RMC), Course over ground and ground speed(VTG), Date and Time (ZDA), Datum reference (DTM).